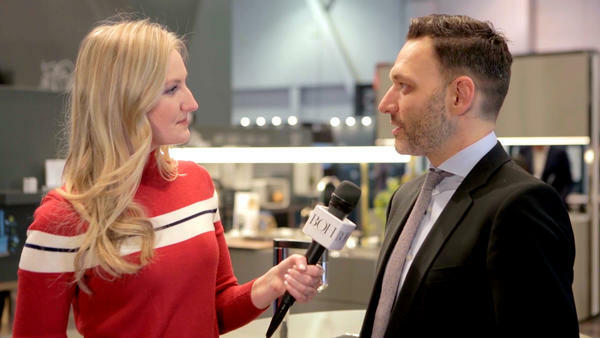 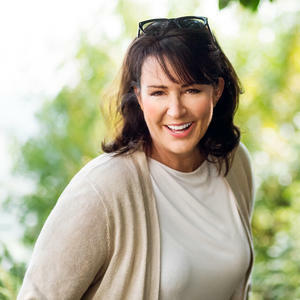 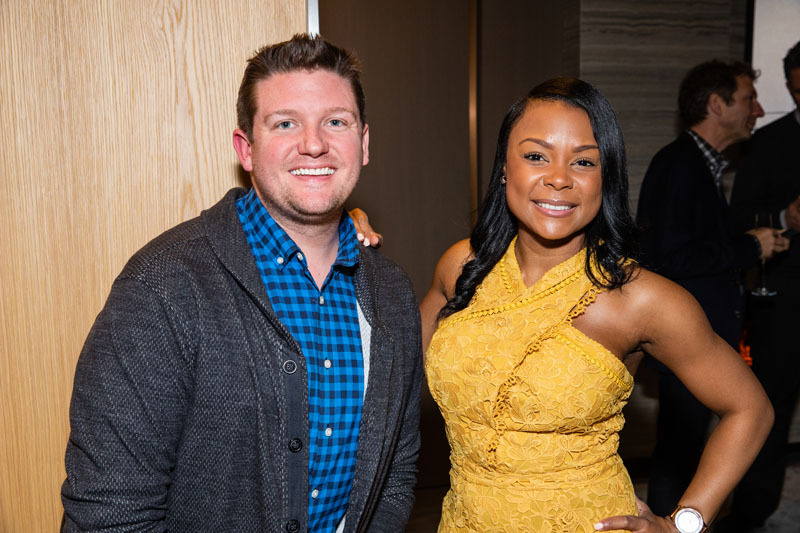 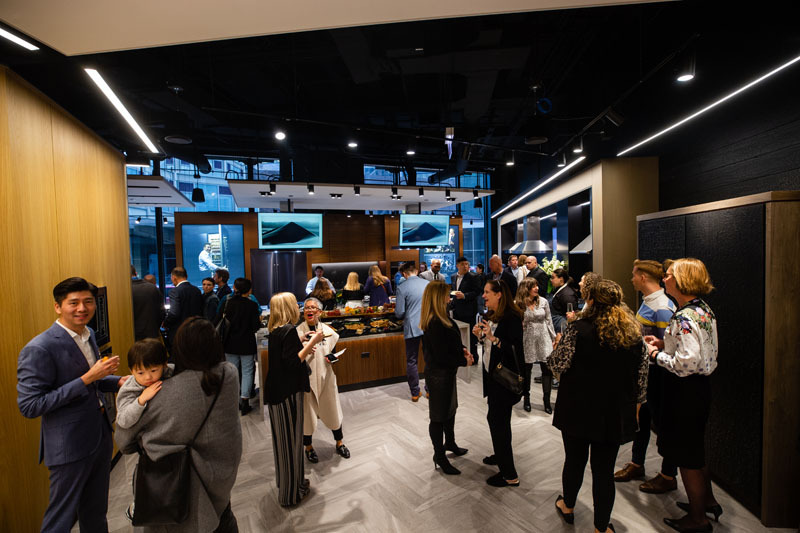 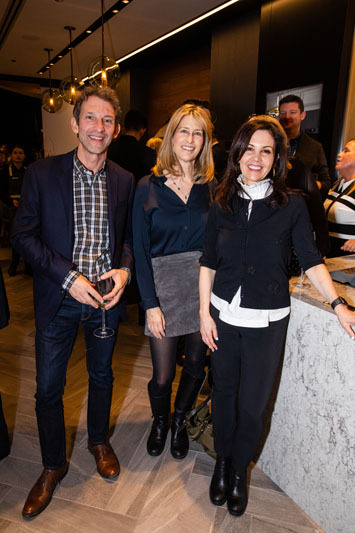 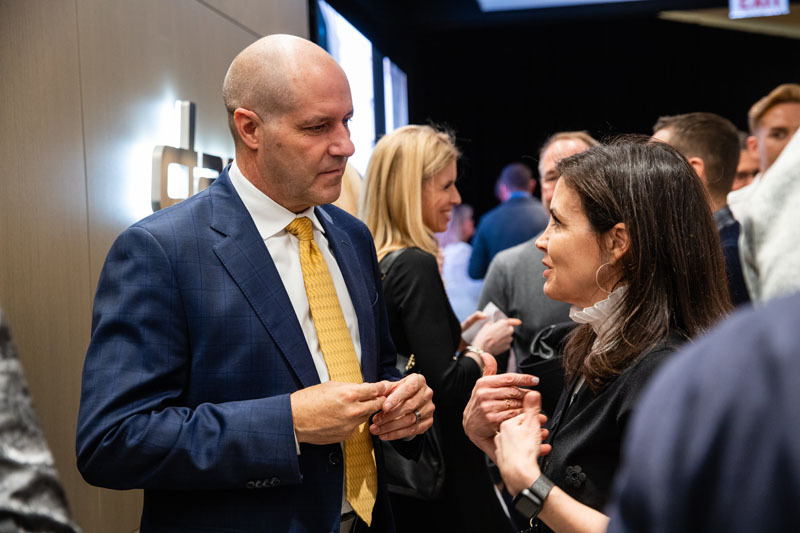 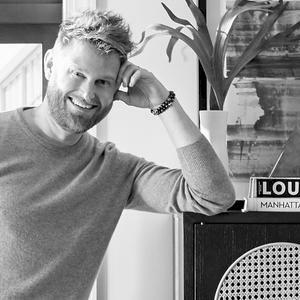 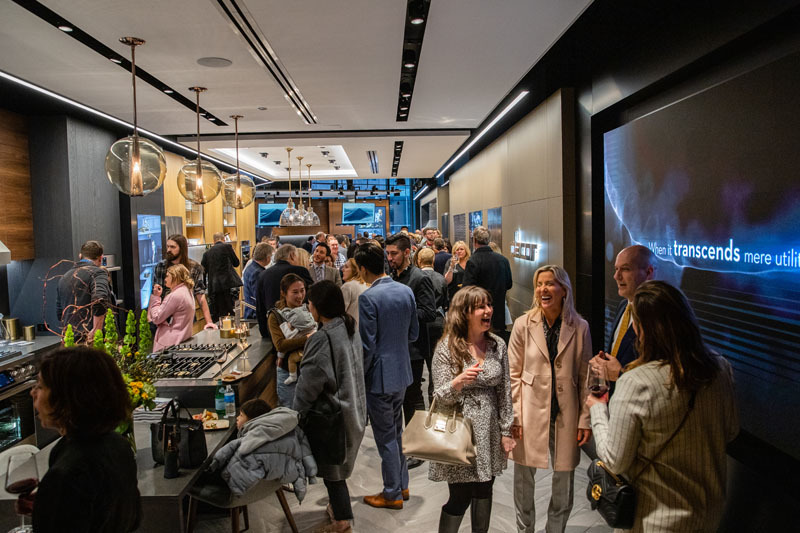 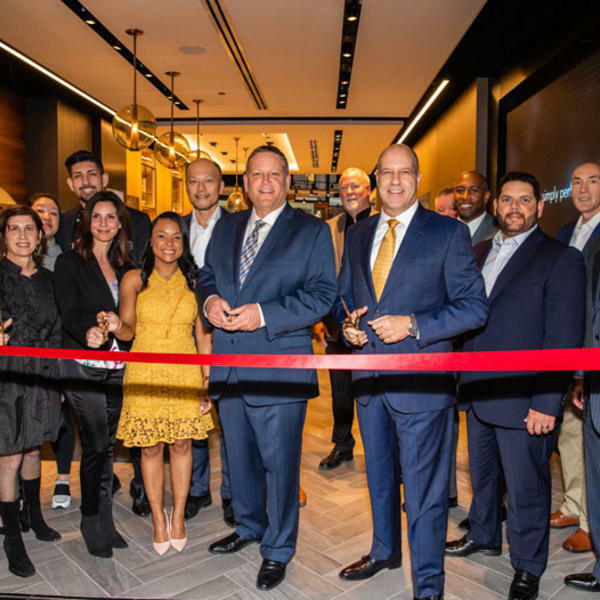 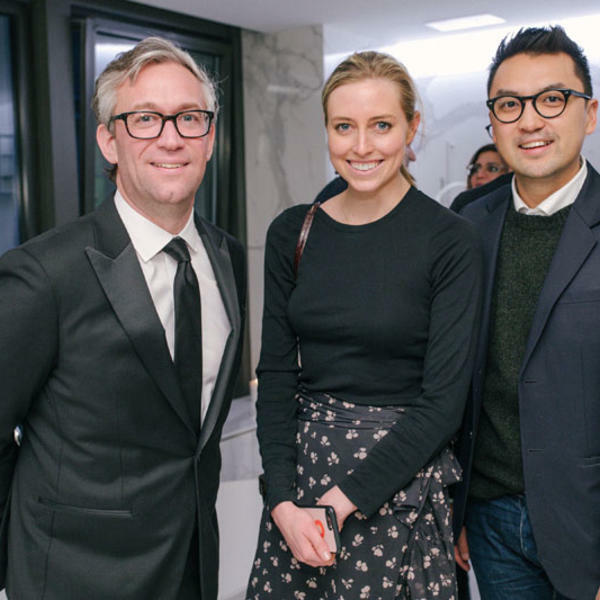 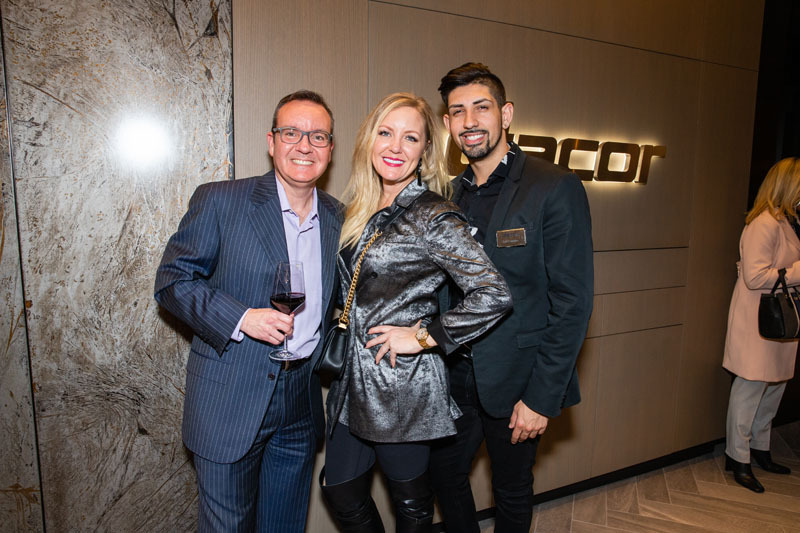 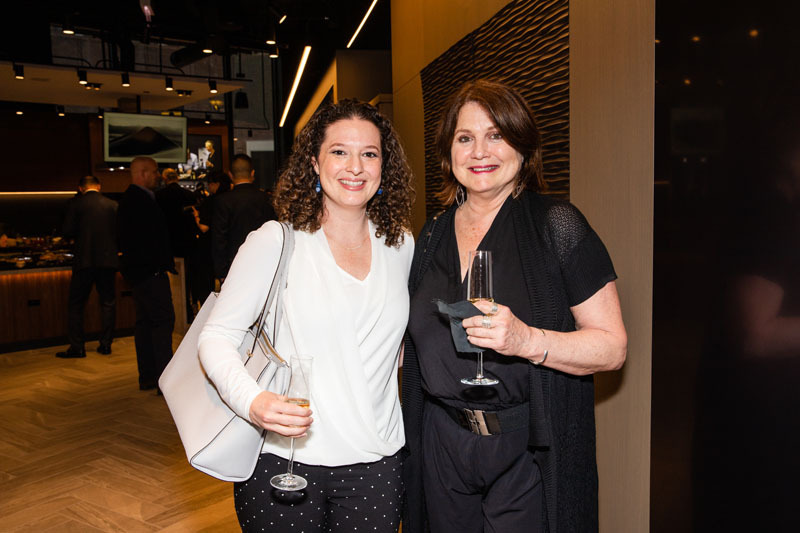 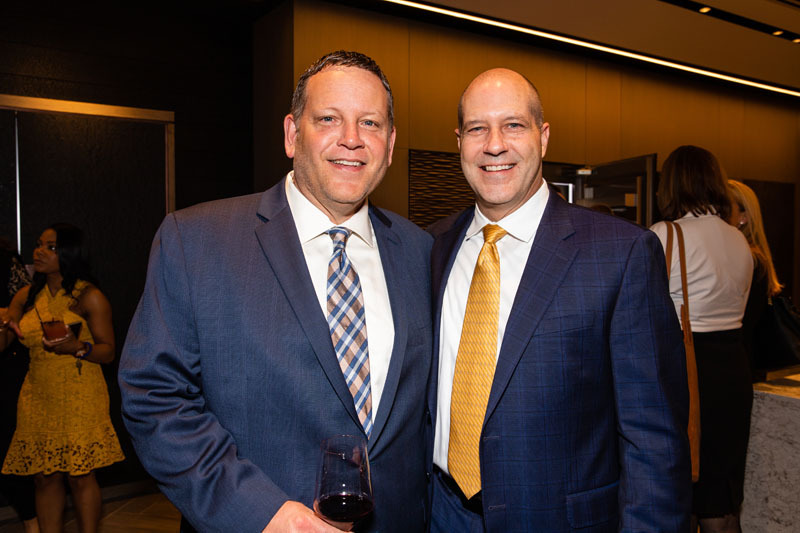 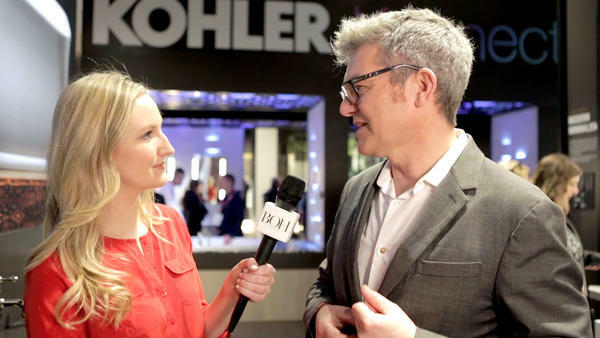 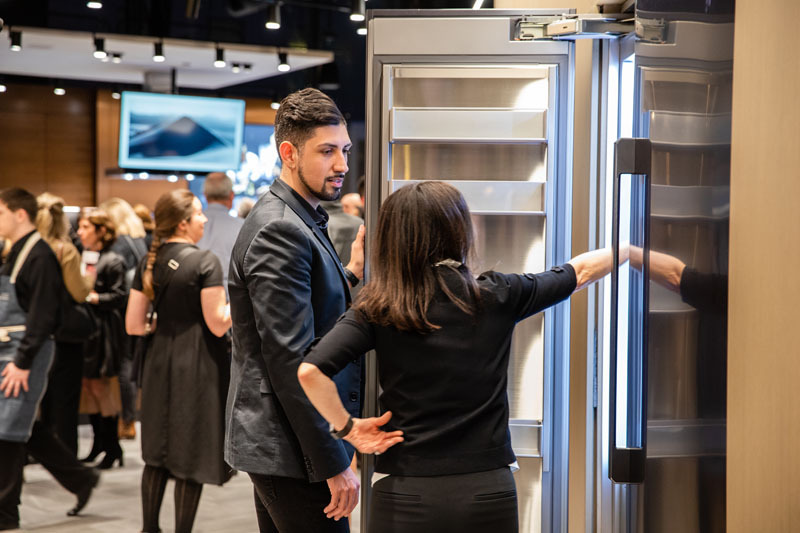 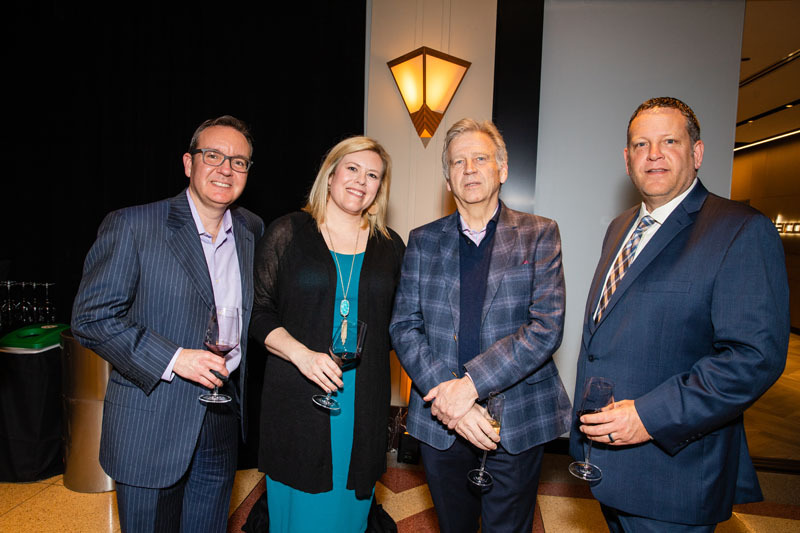 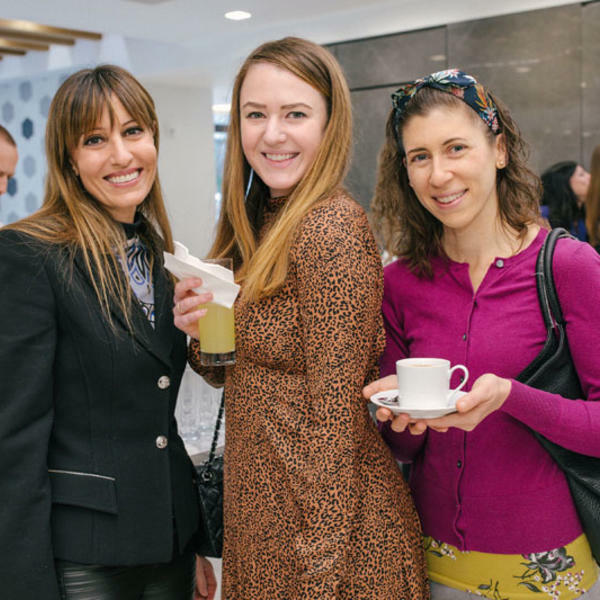 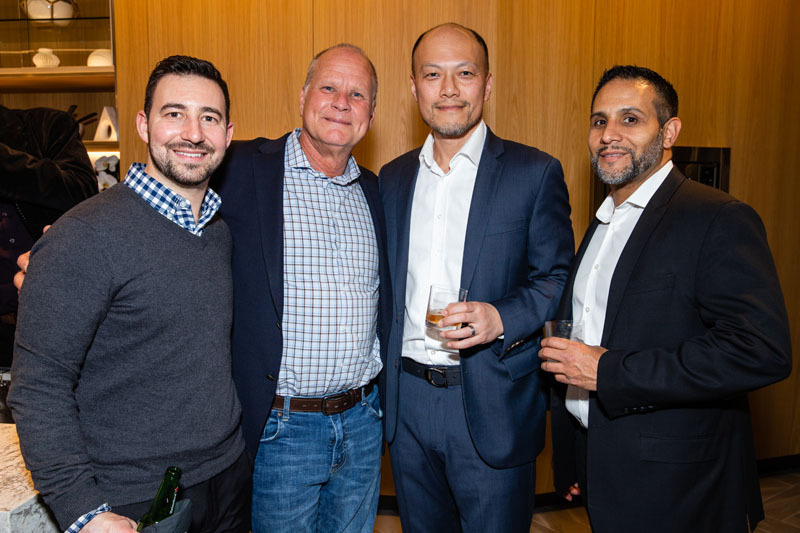 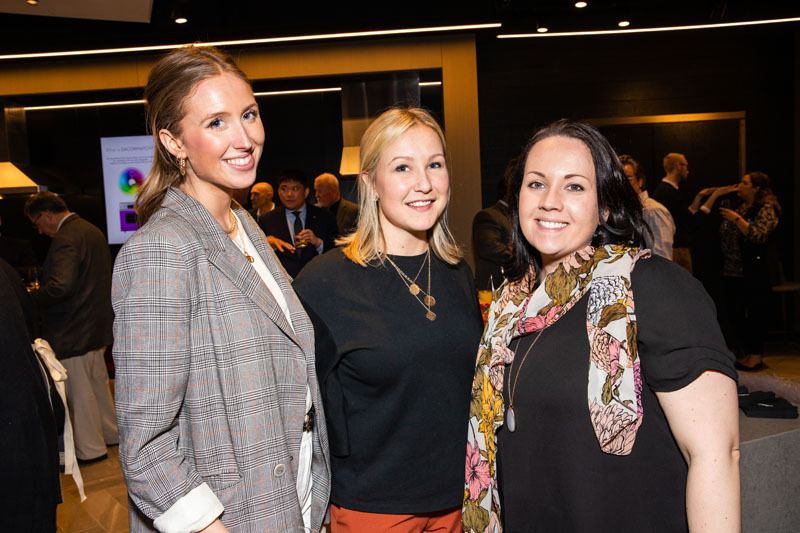 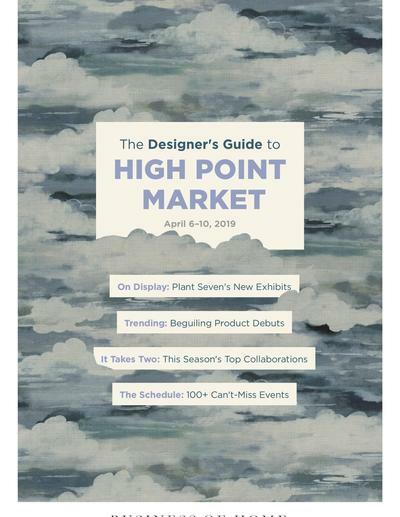 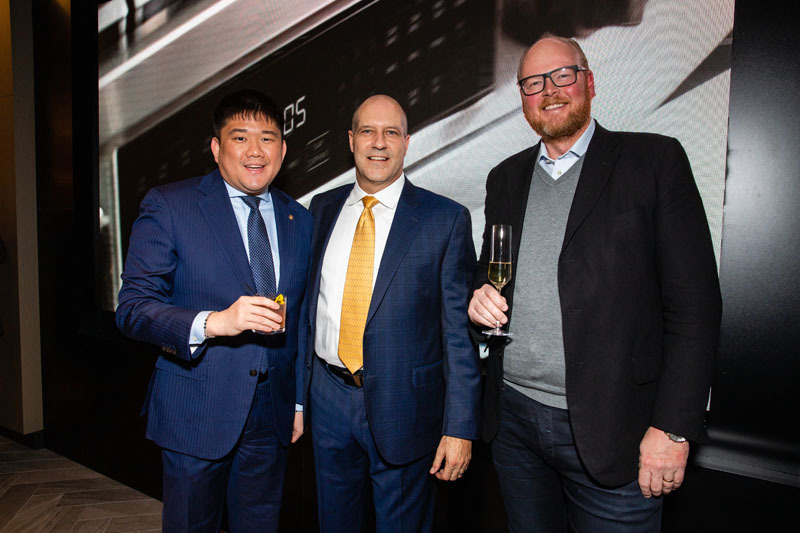 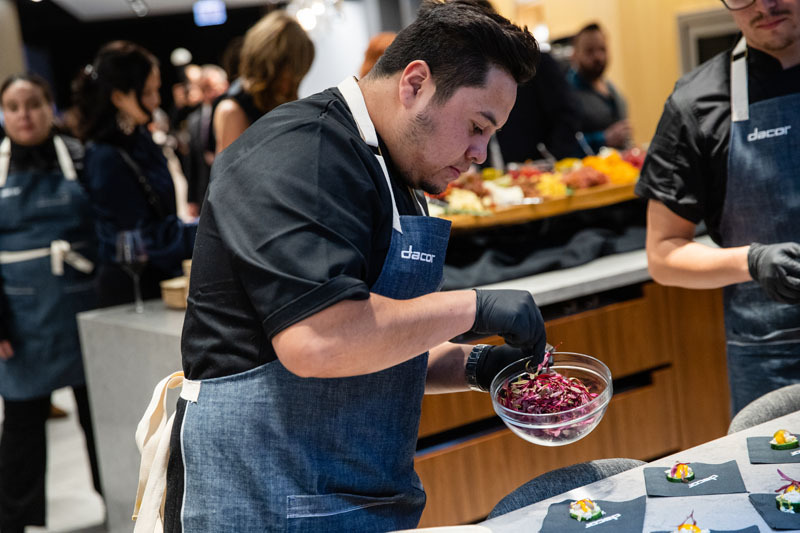 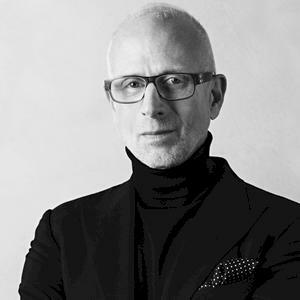 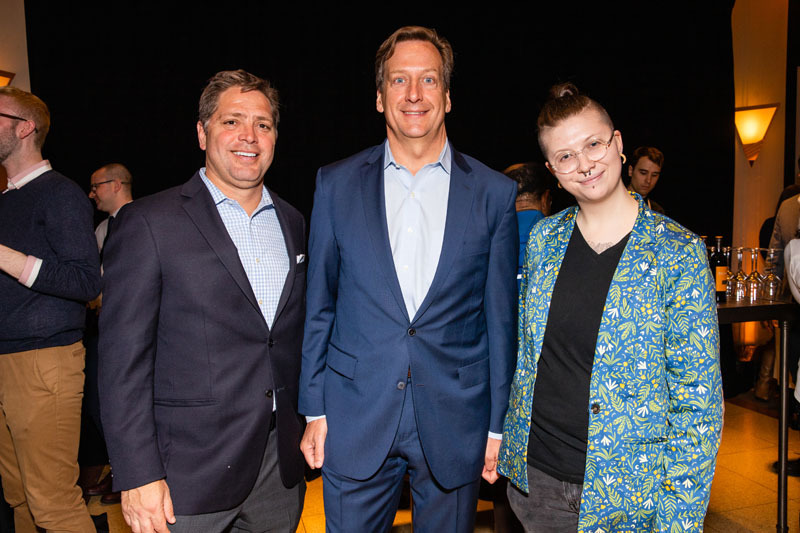 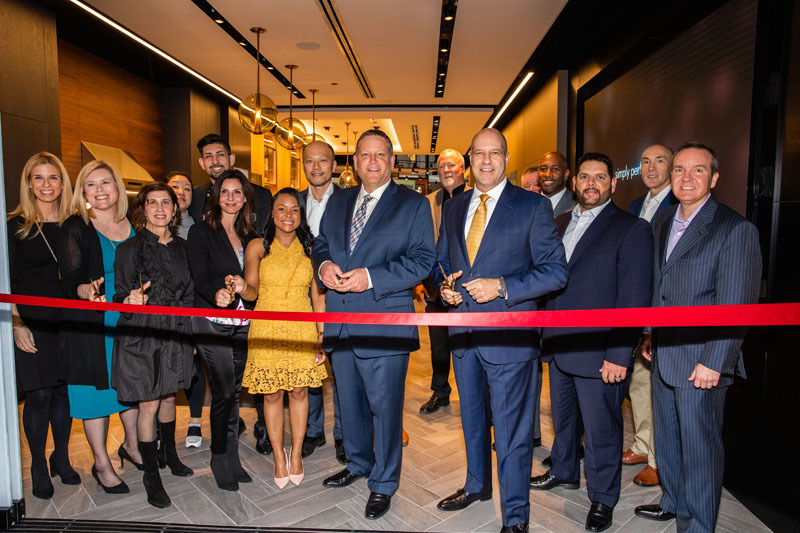 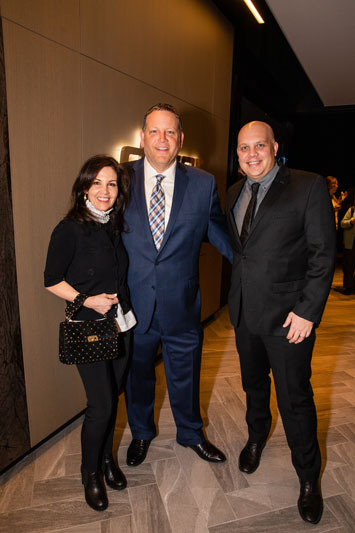 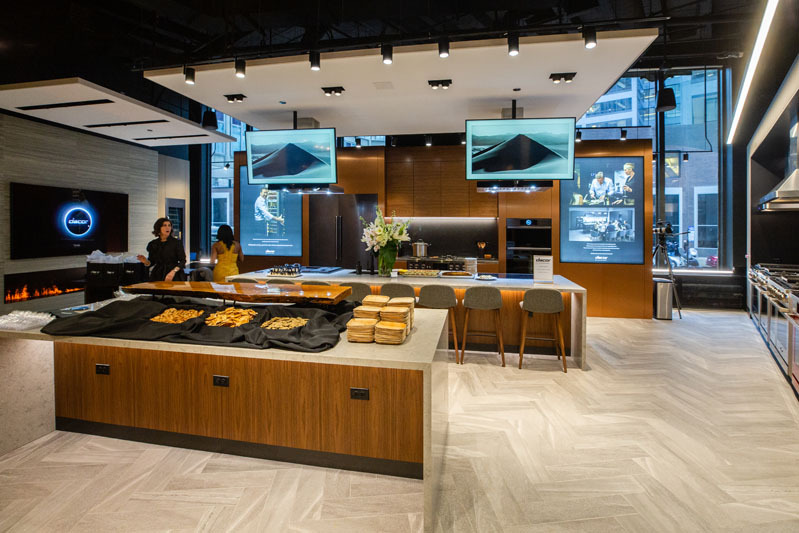 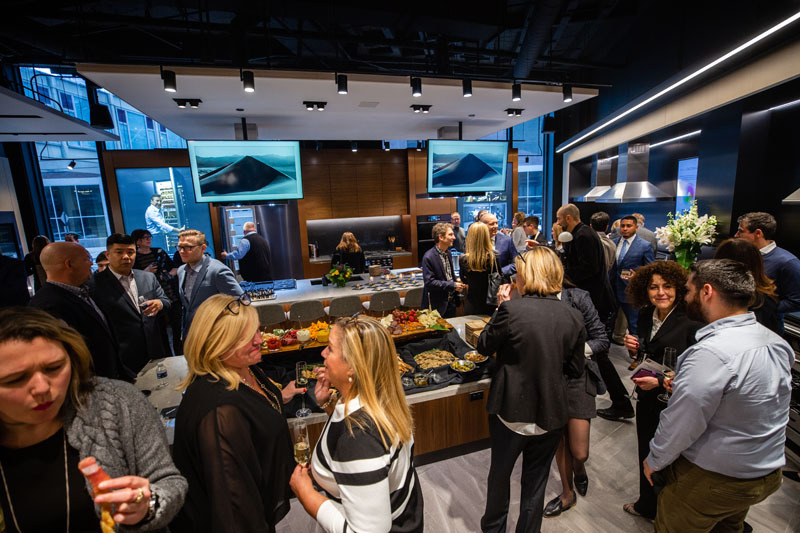 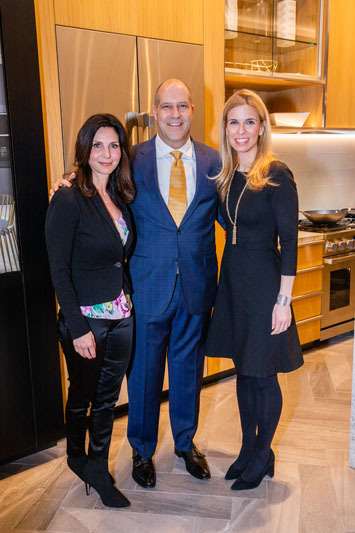 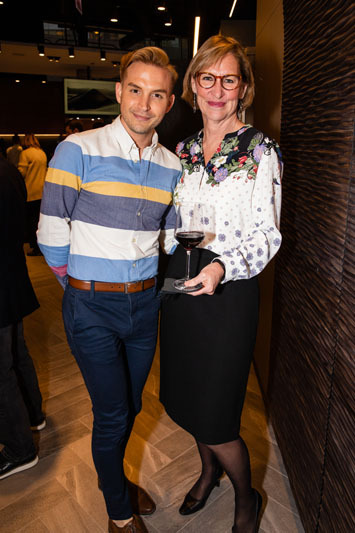 The Chicago design scene turned out in celebration of the debut of a new Dacor Kitchen Theater, the second showroom for the American luxury home appliance brand. 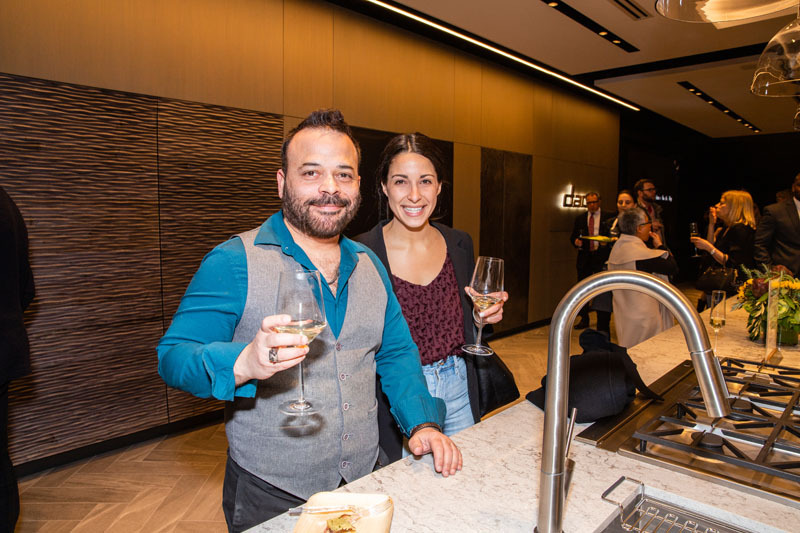 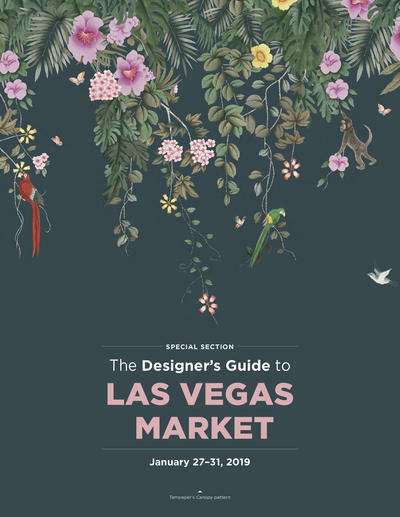 Located on the first floor of the historic Merchandise Mart in downtown Chicago, the space operates as a full-scale performance center that directly serves the trade community while allowing homeowners to interact firsthand with the brand’s vast selection of collection offerings. 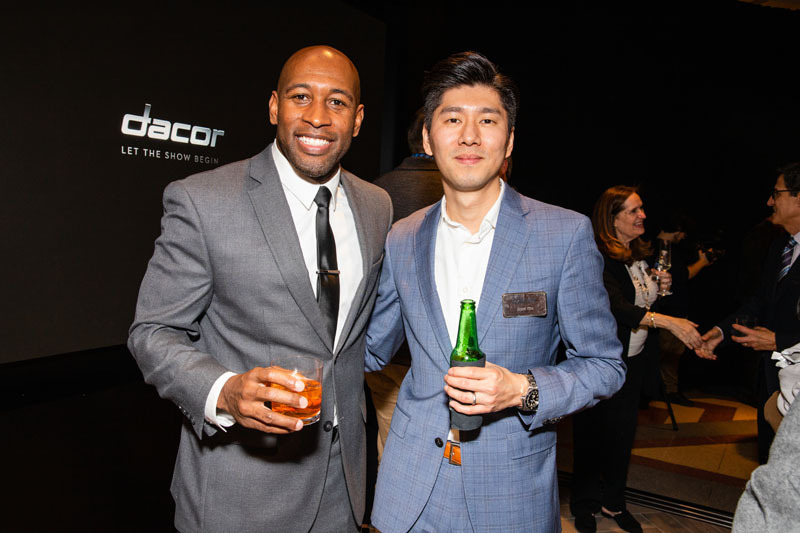 Over 150 guests attended the opening, including Scott Kim, Steve Lee, Etienne Houseknecht, Kris Feneque, Celeste Robbins, Micah Tipler, Jennifer Chick-Gray, Mike O’Keefe, Janessa and Stephen Gertz, Joann Nosek, Joan Pomaranc, Paul DeGrandis and Tylar Raines. 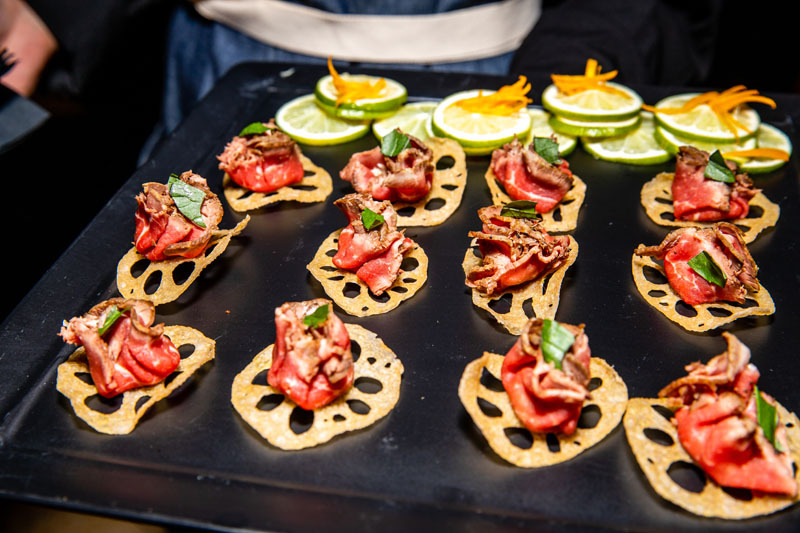 Guests enjoyed chef-prepared hors d’oeuvres. 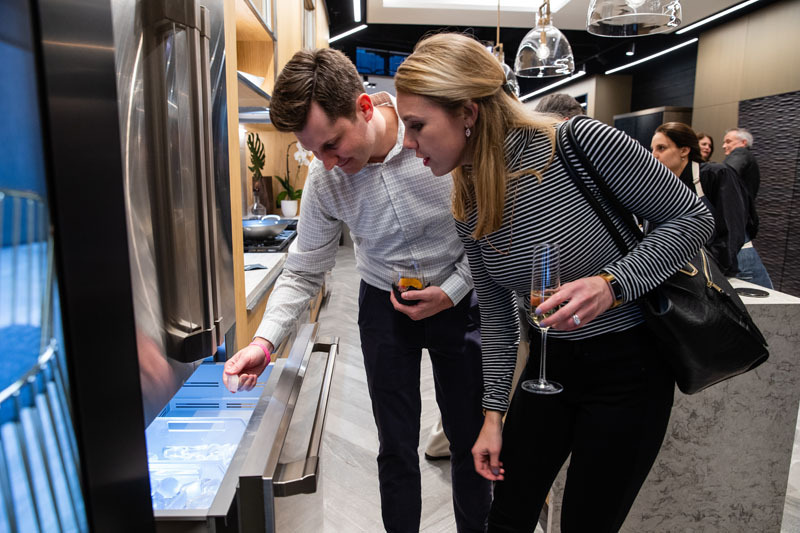 Guests explore the new Kitchen Theater and the product on display. 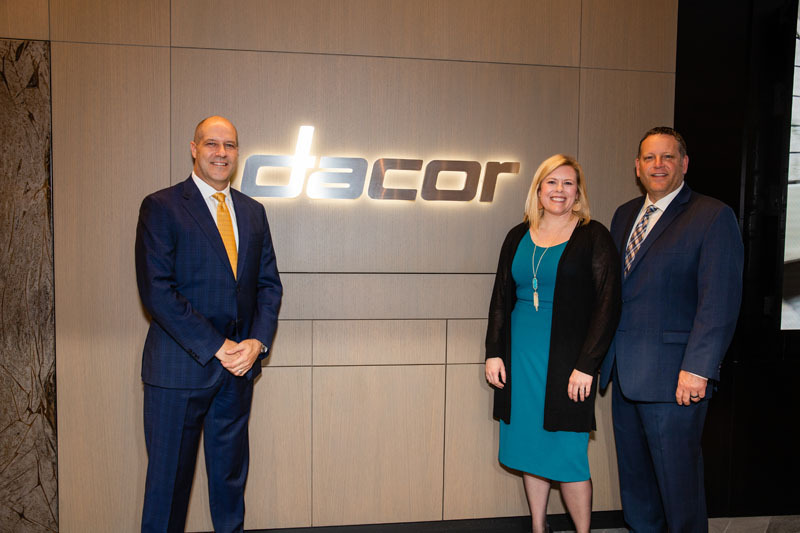 Derrick Ogletree and Kelsey Ogletree explore Dacor’s offerings. 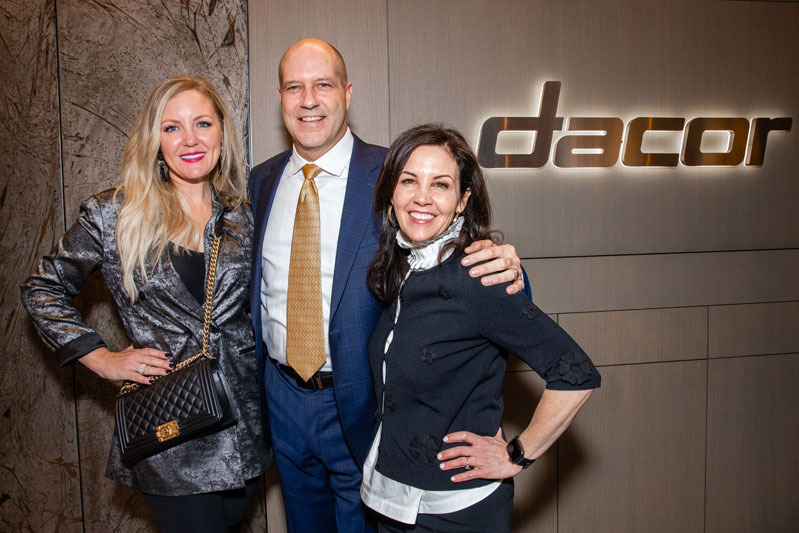 The Dacor executive team, with members of the Mart team, cut the ribbon to the new Dacor Kitchen Theater Chicago.